Bobby Dalbec does not have any MLB stats for the season. Draft: 2016, Boston Red Sox, 4th rd. 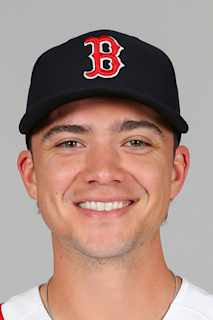 January 10, 2019 Boston Red Sox invited non-roster 3B Bobby Dalbec to spring training. August 3, 2018 3B Bobby Dalbec assigned to Portland Sea Dogs from Salem Red Sox. August 3, 2018 Portland Sea Dogs activated 3B Bobby Dalbec. April 3, 2018 3B Bobby Dalbec assigned to Salem Red Sox from Greenville Drive. February 25, 2018 3B Bobby Dalbec assigned to Boston Red Sox. July 12, 2017 Greenville Drive activated 3B Bobby Dalbec from the 7-day disabled list. June 30, 2017 Greenville Drive sent 3B Bobby Dalbec on a rehab assignment to GCL Red Sox. May 15, 2017 Greenville Drive placed 3B Bobby Dalbec on the 7-day disabled list retroactive to May 11, 2017. April 4, 2017 3B Bobby Dalbec assigned to Greenville Drive from Lowell Spinners. March 29, 2017 3B Bobby Dalbec assigned to Boston Red Sox. July 18, 2016 3B Bobby Dalbec assigned to Lowell Spinners. July 15, 2016 Boston Red Sox signed 3B Bobby Dalbec.